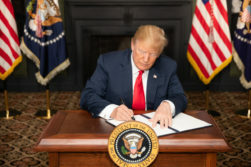 United States President Donald Trump announced the first stage of renewed American sanctions on Iran on Monday, ahead of the official reimposition of sanctions at midnight on Tuesday. 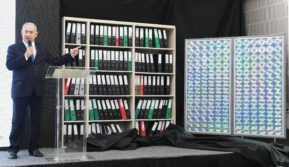 The anticipated move follows Trump’s decision in May to pull the US out of the Iran nuclear deal—also known as the Joint Comprehensive Plan of Action (JCPOA). 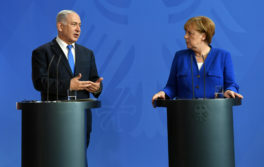 Israeli Prime Minister Benjamin Netanyahu while visiting the country where the original Holocaust was first devised found some common ground with the host nation of Germany—opposing the current proponent of a new Holocaust, the Islamic Republic of Iran. On Sunday, Iranian Supreme Leader Ayatollah Khamenei posted in English to Twitter, “Our stance against Israel is the same stance we have always taken. #Israel is a malignant cancerous tumor in the West Asian region that has to be removed and eradicated: it is possible and it will happen.” The shocking tweet included the hashtag “#GreatReturnMarch”, referencing the weekly Gaza riots near Israel’s border fence. With the United States out of the Iran nuclear deal, the Europeans are striving to keep the accord from collapsing. The Iranians, for now, are playing along—but on this condition: If they don’t receive the economic benefits promised them, they will not only exit the deal and go back to their old nuclear program, they’ll make it more advanced than ever. And they may just do it secretly, away from the eyes of international inspectors. 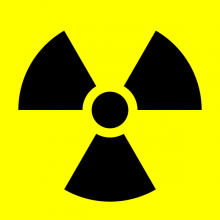 “If our interests are not materialized, we will withdraw from the nuclear deal and will enrich [nuclear fuel] to 20% degree or any level that we want out of their sight,” Government Spokesman Mohammad Baqer Nobakh was quoted by the Fars News Agency as saying last week. Iranian forces in Syria launched 20 rockets at Israel around midnight on Thursday in a dramatic escalation, less than 30 hours after the United States announced they were pulling out of the Iran nuclear deal. In the attack—reported by the IDF Spokesperson in a series of posts on Twitter—a number of rockets were intercepted by the Israeli Iron Dome missile defense system. 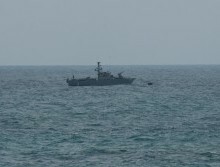 No injuries were reported by the attack, which targeted IDF posts on the Golan Heights in Israel’s north. The IDF Spokesperson later confirmed via Twitter that none of the rockets hit targets in Israel. Israel’s response was the largest official series of strikes in Syria in decades. IDF spokesperson Lt. Col. Jonathan Conricus tweeted that “dozens of Iranian military targets in Syria” were targeted and posted a map showing hits in more than 30 different locations across Syria. 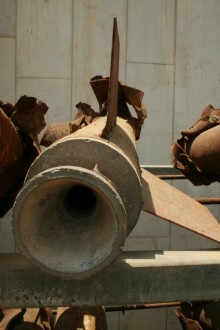 A sizable grouping of those targets were around the capital of Damascus.